The end of the year is typically a time to look back on the past 365 days (366 during a leap year) and review what has happened. What big events have occurred? What memories have been made? What new friends have you met? How is your life different today than it was on January first? For my blog, this retrospective usually takes the form of looking through a year’s worth of photos, culling them down into a few hundred, and then somehow trying to shoehorn as many of them as possible into a post. I think I’m going to take a different route this year. A more analytics and social media driven route. With that done, I wondered if I could improve on it. Especially in the photos area. Since many of my photos weren’t posted to my blog, but to Instagram, I decided to make a video of my top Instagram photos of 2013. Now, on to the Analytics. I fired up Google Analytics and asked it to look from January 1, 2013 to the present. Then, I picked a few analytics from the huge number available. First, let’s look at general audience analytics. How did mobile devices do in 2013 versus desktops and tablets? Clearly, 2013 was the year that mobile took off on TechyDad.com. 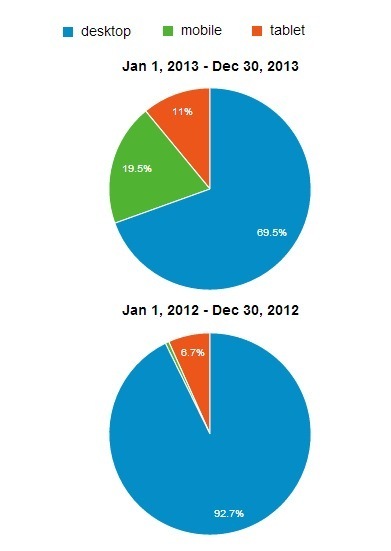 I went from virtually no mobile users to nearly 20% of my users on mobile. Tablet use increased as well. Desktop use, meanwhile, dropped down drastically. It should be noted that I’m talking about percentages. In raw numbers, all segments made increases. Desktop alone rose by over 30% from its previous year’s total. Mobile and Tablet increased much more than Desktop did, however, so Desktop’s percentage wound up decreasing. So mobile and tablet grew fast, but what mobile/tablet operating systems were people using on TechyDad.com in 2013? 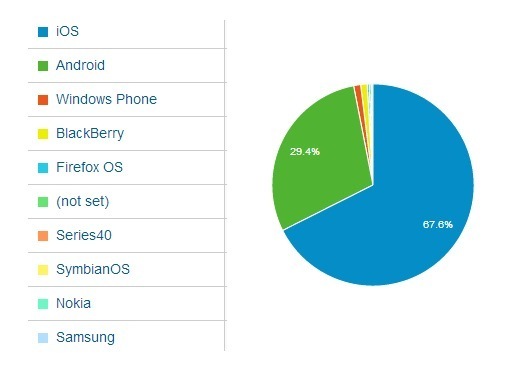 Clearly, iOS maintains a significant lead, but Android is holding a sizeable chunk as well. 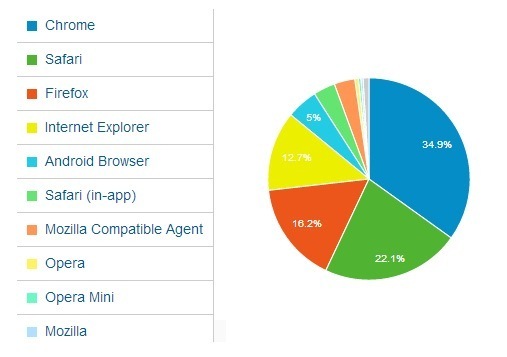 As far as browser usage went, Chrome was king in 2013 with Safari close on its heals. Firefox took third place and IE came in fourth. All this is nice, but I still believe in the old saying "Content Is King" so what was the most popular content on TechyDad in 2013? Well, we can look at that two ways. We can only count posts made in 2013 or we can count all posts. The Facebook-McAfee Lockout – B got locked out of Facebook and I turned my investigation into a post. A ton of traffic from Reddit made this post’s traffic skyrocket. Designing a Car on Disney’s Test Track – After a trip to Disney World, I wrote about being able to try out the new Test Track and how incredible the design options were. I still look forward to introducing this to my kids. It’s Time To Meet The Muppets in My Muppets Show – I love trying out new games for my phone or for the boys’ tablets. Mix in a love of the Muppets and this game was virtually assured to be an instant win. They’ve kept it fresh by adding in new stages which means we still play it to this day. Paid App Do’s and Don’ts – After being frustrated by a couple of apps which made gameplay near-impossible unless you paid them money or bothered your friends on social media, I wrote this guide showing how some apps did it right and others didn’t. Like Bow Ties, Doctor Who Legacy Is Cool – I love Doctor Who. So does the rest of my family. A game where you help the Doctor battle his enemies is very nice, but the graphics and gameplay take this from "very nice" to "excellent." How I Did NOT Give My Son Autism (And How I Did) – After reading an article online where a mother blamed her child’s autism on every single action she took while pregnant, I felt the need to write a rebuttal. Spoiler alert: The only way I "gave" my son Autism is via genetics. Prepping a Tablet For Children – My boys used some saved up money to purchase tablets for themselves. (Well, one tablet they shared the cost of and one that B got as part of the Verizon Lifestyle Bloggers.) Obviously, we weren’t going to just let them use the tablets fresh out of the box. Instead, I found apps to help lock them out of certain areas and protect the tablets from what could have been innocent, but destructive behaviors. Vine vs. GIFBoom – Before Instagram came out with their video solution, I was tempted by the lure of Vine. I tried it out but was underwhelmed. I found another option at the time in an app called GIFBoom that lets you make animated GIFs. Since that post, though, Instagram’s video option has been released and I’ve grown to like it. The Playground Dalek – Run for your life! The Daleks have invaded my kids’ playground! Since this post, my boys have fallen in love with Doctor Who and now see the Dalek on the playground as well. Asperger’s and the Emotional Cage – Here I talked about how neurotypicals can sometimes mistake an Aspie’s inability to fit words to their emotions for a lack of emotions. I’ve found that it’s much easier for me to express emotion via writing (where I can edit and rewrite) than via speech (where the words must flow in real-time). Freeware Review: Shape Collage – This one surprised me. A freeware review that I wrote over thee years ago took the number 2 spot. I guess it just goes to show that content doesn’t necessarily go bad just because it is older. 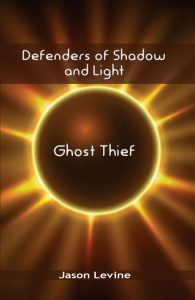 Gimme Free Stuff: A Guide For Review Bloggers Just Starting Out – Another case of older content holding up. This post from 2010 was targeted towards new bloggers who seemed to think that they could just demand "free stuff" from companies by virtue of the fact that they opened a blog. I tried to give some advice on how to get review opportunities and how to properly pitch companies. My Most Controversial Post Ever: Nutella vs Dark Chocolate Peanut Butter – I pitted Nutella and Dark Chocolate Peanut Butter in a winner take all battle royale. We still keep a good stock of Dark Chocolate Peanut Butter but haven’t bought Nutella in awhile. Duncan Hines Apple Carmel Decadent Cake Mix and Vanilla Glaze Review – This was a review I did of Duncan Hines cake mixes and glazes from 2010. It’s amazing sometimes what posts keep bringing in the traffic. What were my favorite posts of 2013? From a quick look over my archives list, I’d have to say some of my Asperger’s posts like Asperger’s Syndrome Resources, The Challenges of Asperger’s Parenting, Obsessions and Asperger’s Syndrome, The Upside of Asperger’s, An Open Letter About Asperger’s Syndrome, and How I Did NOT Give My Son Autism (And How I Did). I’d also include Rotten To The Common Core – my first post on Common Core, Doctor Who Geeklings Are Born – my first posting of my kids becoming Whovians, and Doctor Who? Doctor TechyDad! – where I revealed the Doctor Who costume that I made. Finally, I’d include a pairing of posts where I discussed the self doubt that I face nearly every day, how Wil Wheaton’s book – Just A Geek – helped me realize this, and how I’ve been trying to turn that voice on its head: The Voice Of Self Doubt and Self-Doubt and Self-Achievement. It’s been a very exciting year and I can’t wait to see what 2014 has in store.